Having trouble with insomnia? Do you wake up feeling exhausted? 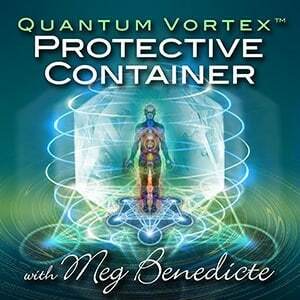 Crawl into bed and fall asleep with a quick 10 Minute Meditation guided by Meg Benedicte with the powerful Quantum Access™ Activations. Upload the ˜Sleep Time Bliss’ Meditation to your iPod, iPad or smart phone…and relax into a cocoon of golden crystalline Light. Release all worries and stresses of the day, secure a protective Auric Container and receive intuitive guidance while you sleep. Follow the meditative steps while listening to the Zero Point Phi Harmonics and Delta (1-2 Hertz) binaural tones in 432 hertz in the background. When human brainwaves synchronize with the heart in the frequency of Phi Harmonics, the human energy field achieves coherence, enhancing brainwave entrainment and inner communication with Spirit. Binaural Beats or binaural tone cause the brain of the listener to adjust its dominant frequency to match the frequency of the binaural beat. This is what is known as the ‘frequency following response’. Millions of people use binaural meditation to enhance their quality of life and to experience deep relaxation. In fact, binaural meditation technology is now used for improving self-confidence, stress relief, pain management, relaxation, improving and concentration and improving the quality of one’s sleep. Delta brainwaves are most prevalent during deep, dreamless sleep. The Delta state is perfect for inducing profound spiritual experiences, healing and deep subconscious re-patterning. Delta frequency brainwave entrainment music is also a fantastic cure for insomnia. 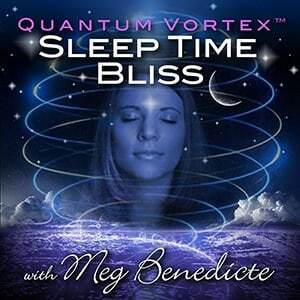 Listen to serene choir sounds floating above a warm, soothing backdrop of binaural tones, as Meg Benedicte guides your mind into a state of deep, deep relaxation.